In this paper we propose three layout algorithms for semi-bipartite graphs—bipartite graphs with edges in one partition—that emerge from microarray experiment analysis. We also introduce a method that effectively reduces visual complexity by removing less informative nodes. 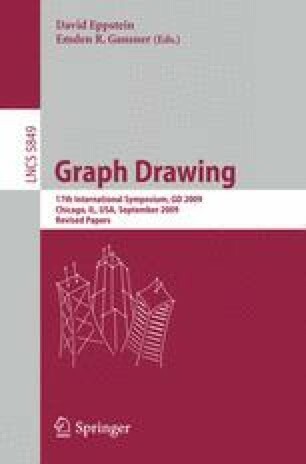 The drawing quality and running time are evaluated with five real-world datasets, and the results show significant reduction in crossing number and total edge length. All the proposed methods are available in visualization package GEOMI , and are well received by domain users.